Parents can voluntarily execute a written surrender of a child and consent to an order providing custody to the Florida Department of Children and Families. The surrender must be executed before two witnesses and a notary public or other authorized individual. Abandonment is defined by statute as a situation in which the identity or location of one or both parents is unknown and cannot be ascertained within 60 days. When evidence indicates that one or both parents have engaged in conduct towards their child or other children which demonstrates that the continuing involvement of one or both parents threatens the safety, well-being, or physical, mental, or emotional health of the child, this can serve as grounds for the termination of parental rights. 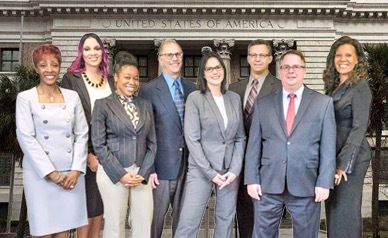 If the parent of a child is incarcerated for a significant portion of the child’s minor life or the parent is determined by the court to be a violent career criminal, a habitual violent felony offender, a sexual predator, guilty of first or second degree murder, or a sexual battery that constitutes first degree felony (or has been convicted of an offense substantially similar to one of these), or if the court determines that continuing the parental relationship with the incarcerated parent would be harmful to the child and terminating those parental rights would be in the best interest of the child, there can be grounds for the termination of parental rights. 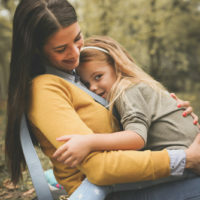 If the child has been adjudicated dependent, a case plan has been filed, and the child continues to be abused, neglected, abandoned, or the parent(s) have materially breached the case plan, this can serve as grounds for the termination of parental rights. The termination of parental rights can also be established if one or both parents have engaged in egregious conduct that threatens the life, safety, or physical, mental, or emotional health of the child or the child’s sibling. One or both parents have a history of extensive, abusive, and chronic use of alcohol or a controlled substance which renders them incapable of caring for the child, and have refused or failed to complete available treatment for such use during the three-year period immediately preceding the filing of a petition for the termination of parental rights; amongst various other circumstances. Whether you are seeking to establish parental rights or terminate them for the welfare of your child, we can help. Contact the office of HD Law Partners to find out about our services.